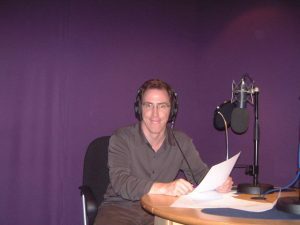 Many parts of the Internet have not quite understood how in the UK comedy often exists on Radio, before it turns into TV. 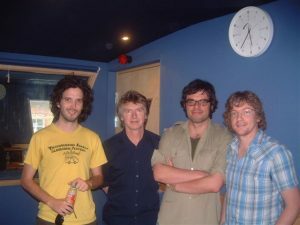 In 2003 having fallen in love with The Conchords at the Caves just below South Bridge on The Fringe I asked them to do a guest spot on a show for Radio 2 I was producing with Greg Proops. 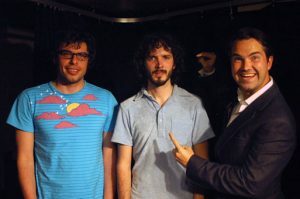 A week later I asked our sound engineer Jerry to record one of their late night shows in the overly moist Cave 2. Before the end of their run I persuaded Mark Radcliffe to do a voiceover for me linking some of those tracks with improvised scenes from Bret & Jemaine. With a Perrier nomination under their belt I was sure we’d secure a commission from Radio 4 for a series. We were turned down flat! 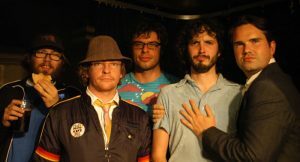 In 2005 the Flight of The Conchords Radio Series won a bronze award at the annual Sony Radio Awards.